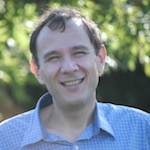 Eric Vyncke is a Distinguished Engineer based in the Brussels office of Cisco Systems. His main current technical focus is about security and IPv6. He has designed several secured hosting services, large IPsec networks, and other security related designs. In his work for the IETF, he co-authored RFC 3585 and 5514 and is active in V6OPS, 6MAN and OPSEC working groups. His recent works are related to IPv6 including co-authoring a book on IPv6 Security. He is also a visiting professor for security topics at the University of Mons, and an adjunct professor at HEC, the business school of University of Liège, Begium. He holds a CISSP certification and speaks frequently at international conferences.